My customers have been asking me for year how they should clean their Onefooters, and here finally I am giving you a solution – literally. 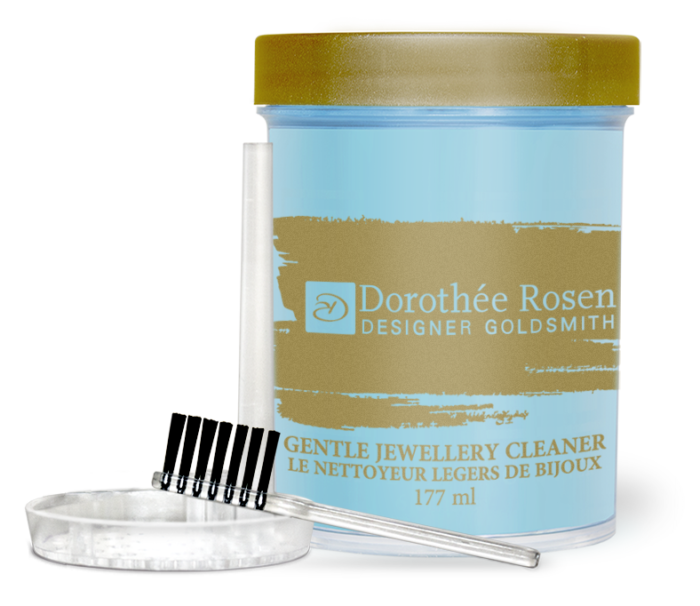 This cleaner is especially formulated to clean gold and silver jewellery, including all types of delicate and porous gemstones, as well as pearls. Our Gentle Jewelry Cleaner is safe to use on a wide array of jewellery, from beads and sterling silver to gold, gemstones, delicate pearls, opals, and certainly on your Onefooters! 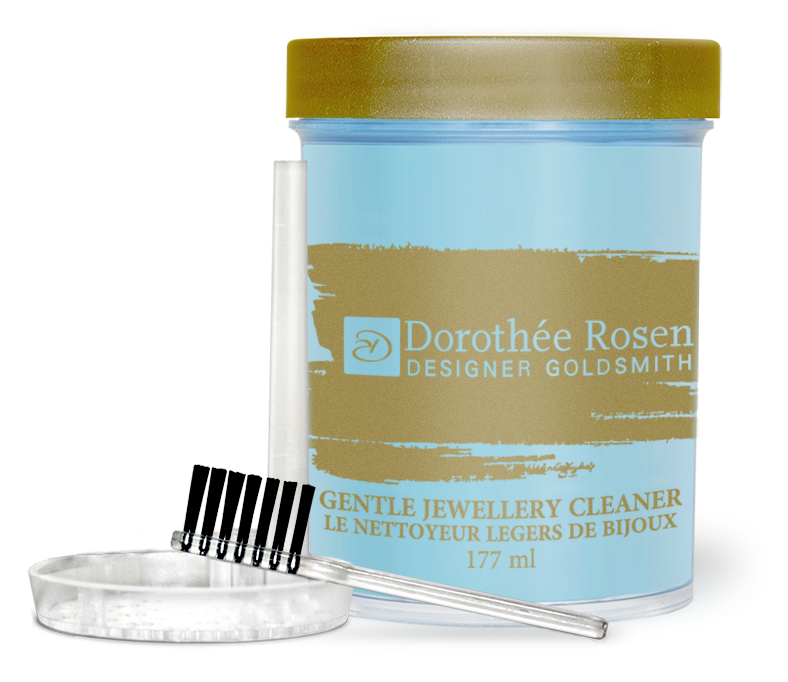 This ammonia-free cleaner can be safely used on porous stones, soft stones, enamel and treated gemstones to keep jewellery sparkling like new. The cleaner is an effective, surfactant-based formula, especially designed for delicate pieces. 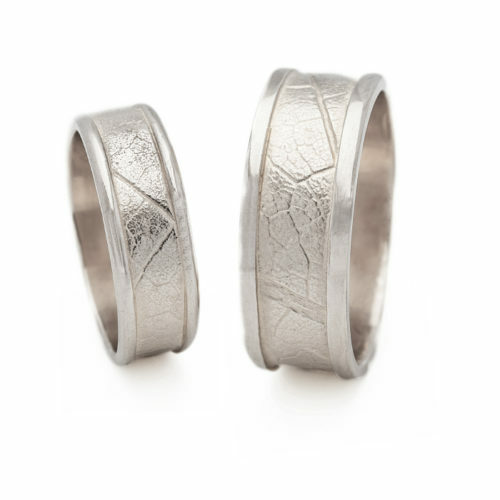 Unlike other jewellery ‘dips’, ours has a lovely gardenia scent. A dipping basket and touch-up brush are included in your kit. The jar is clear, so that you can see your piece while it’s in the liquid. The basket makes it easy to lift it back out. 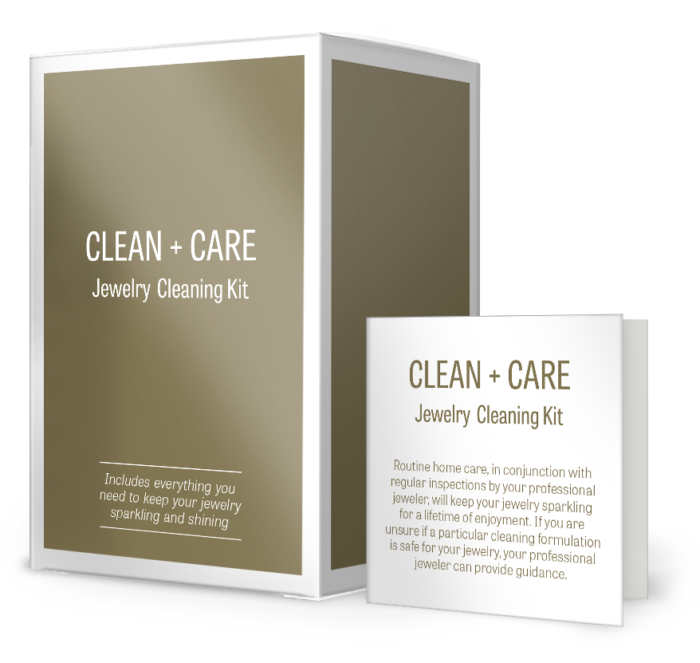 This kit also contains a polishing cloth, which is designed to clean and polish the finest gold, silver and platinum jewelry. 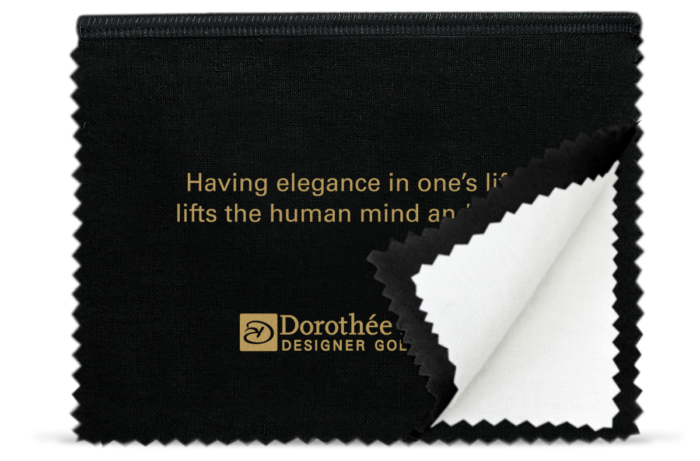 The non-rouge inner cloth is treated with a trade-secret formula to remove tarnish and discolouration and to restore lustre without scratching or removing the finish; buffing with the 100 percent cotton outer cloth provides a gleaming lustre. 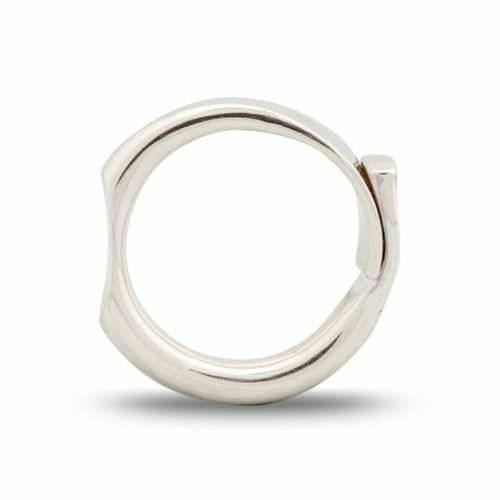 Follow the dipping and rinsing in the gentle jewellery cleaning formula with a touch-up polish with this cloth. Alternatively, our cloths can also be used alone. They are perfect for travel. 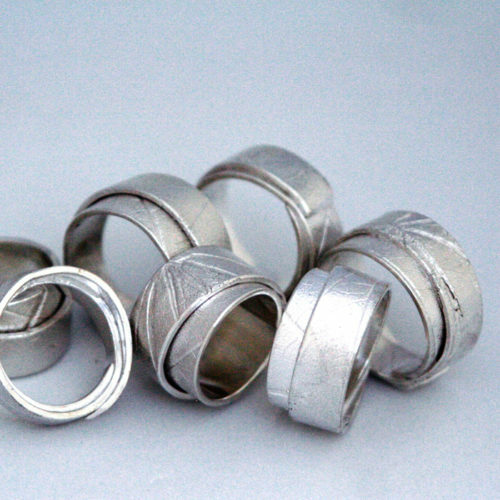 So there you go: you are all set for always shiny, always fresh bling! Directions: Immerse jewellery in cleanser for two minutes. During that time, use the included brush to gently loosen any stubborn dirt in crevices of your Onefooter. Follow this with a rinse under running water, and then dry your piece. After that, rub your piece with the included polishing cloth. Finally, one more go-around with the polishing cloth’s outer cotton layer. Voila! To clean pearl strands, dampen a soft cloth with the solution and wipe your pearls.